Cable pushed further to the downside today after data on the state of the US jobs market topped forecasts. 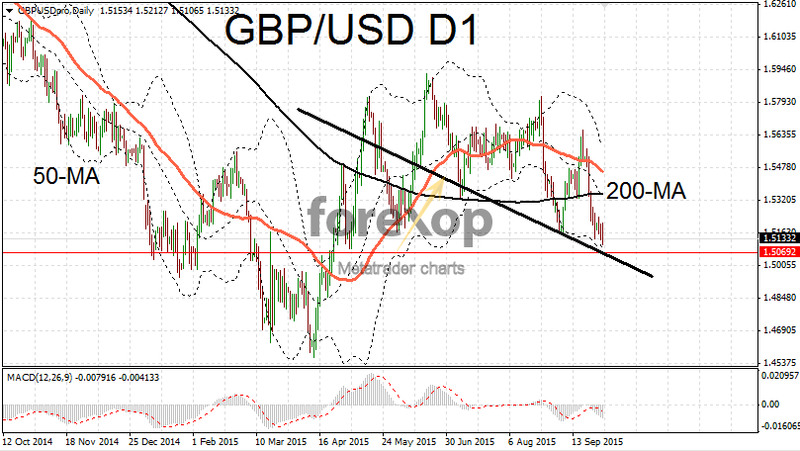 GBP/USD was testing the lower range at 1.51 with upward breaks of any size being quickly sold down again. Mark Carney, governor of the Bank of England declined to offer any support to the Pound in his speech yesterday. Instead Mr Carney focused on the global economy and the impact of climate change. 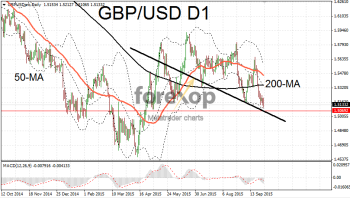 GBP/USD made a strong downward break in late afternoon after a failed attempt to rise above resistance at 1.52. The latest move has pushed the pair towards a five month low. UK growth was revised lower today by the ONS. GDP for the second quarter was 2.4 percent according to the latest figures. That’s down from the 2.6 percent forecast. Signs that the UK economy has slowed have been emerging since late summer. Much of this bad news has already been priced in. Other data on the UK economy was relatively benign but consistent with a mild slowdown in the second to third quarter. This contrasts with a US economy on full steam. The UK’s property sector, an important linchpin of the economy, remains healthy. According to latest figures from the Bank of England mortgage approvals rose to 71,000 in August. Overall though consumer credit was lower in August compared to a month earlier. Nationwide reported a larger than expected increase in house prices of 0.5 percent last month. GBP/JPY also remains fragile but is seeing solid support around the 181 area. A break below this level could see the pair pushing down to the lower end of the 179 to meet the next pivot area. USD/CAD climbed to 1.3367 today after enduring a bruising couple of weeks. Helping to lift the Canadian loonie was a report showing that Canadian GDP rose by 0.3 percent in July. This was at the high end of expectations and gave reason for some optimism. Other commodity currencies managed to stabilize from their recent sell off. AUD/USD was back above the 0.70 barrier. NZD/JPY also managed to push higher for a second day reaching 76.67 amid more benign sentiment towards the commodities sector in general.